So, I thought I hated this color scheme. I really did. Speaking of afros, there was this woman at the local Target yesterday who had the most amazing afro and I wanted to ask her to stand still so I could draw it, but I decided that would just be creepily stalker-ish, so I simply admired it from a distance. One of the things people sometimes ask is where I get my color ideas. I’d love to say I create them all from scratch, but the truth is that I create a lot of them from scratch, but I also use Color Lovers. I mention this, because I just discovered a wonderful new site for color pallettes called Design Seeds. I haven’t used Design Seeds much yet, but I think I will soon. Brights are on display today. I haven’t really anything remarkable to say about Fiona except that I am rather in love with her floral dress. I’ll be traveling a bit in the middle of this month, I don’t think anything should fall apart here, but things might slow a little. Should be a lot of fun, I think. So, as I said, not much to say. 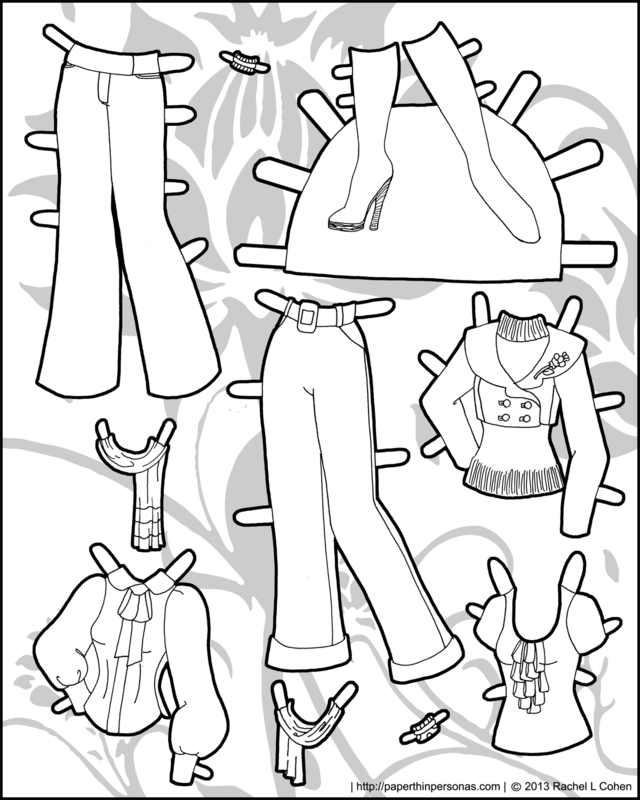 Enjoy the paper doll. So, today we have a rare attempt at an afro. I had a very kind email requesting more natural hairstyles for Marisole, specifically. Now, I don’t know much about black hair fashions, but I got a magazine and after reading up a little, I decided to try the afro. I don’t think it came out quite right… but hopefully that will be forgiven. I think there is something off about her hairline… anyway, I think my next challenge might be dreadlocks or more work on afros. 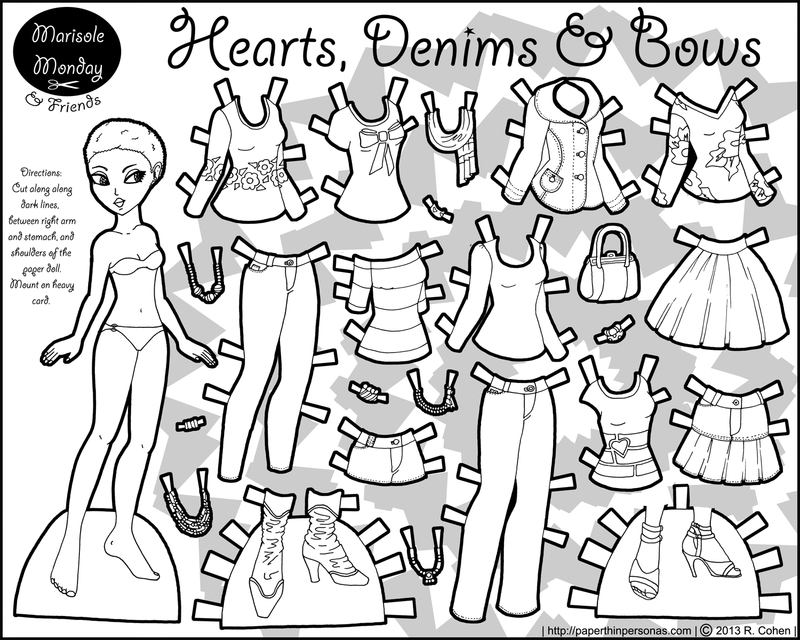 So, I probably could have called this Hearts, Denims and Florals without being wrong on the titling front… but I hate coming up with titles. Sometimes, I think it would be easier just to number everything. First off: Happy Labor Day! I hope those in the United States are having a wonderful holiday, I know I will. Secondly, I’ve added a new section to the blog for instructions. Some of this information is repeated from the FAQ and some of it has shown up before, around the site, but I thought it would be nice to have it all in one place. Any advice or questions about it would be great, since I’m still trying to figure out what I need to tell people. 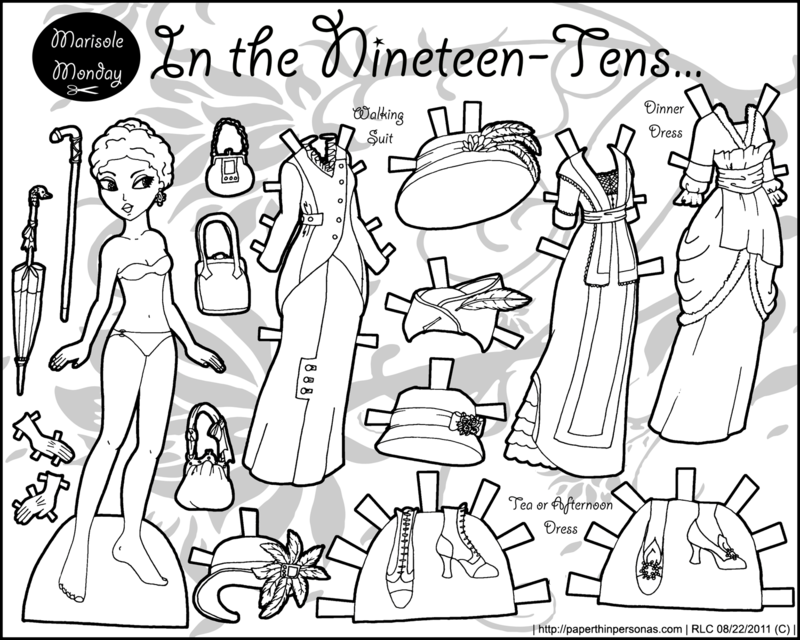 A New Paper Doll Series… Sort of…. So… sometimes, I end up with stuff and I don’t know what to do with it. 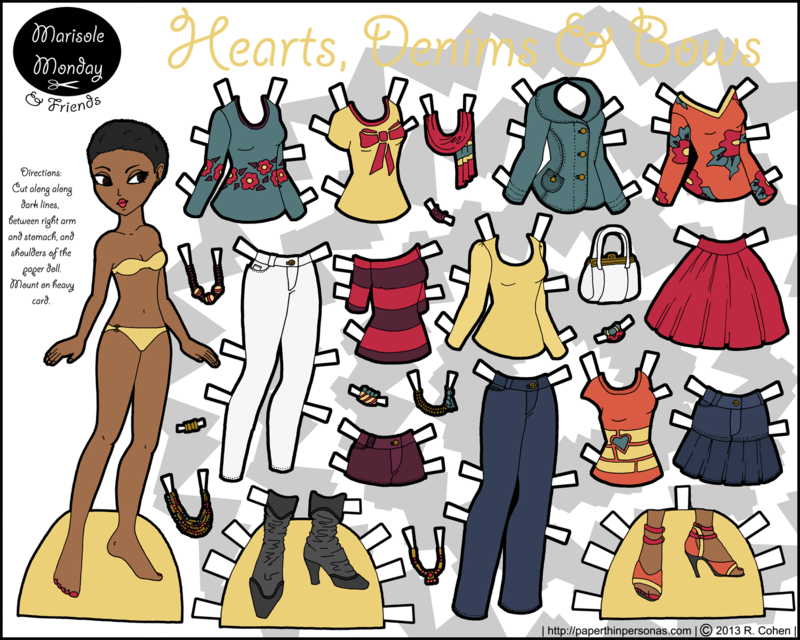 Originally, this paper doll was concieved at the first of a series of paper dolls in full color that would use my skintone color pallette which I had just created and was fine tuning (this was about a year before I actually posted the skintone color pallette) and it would be really neat. 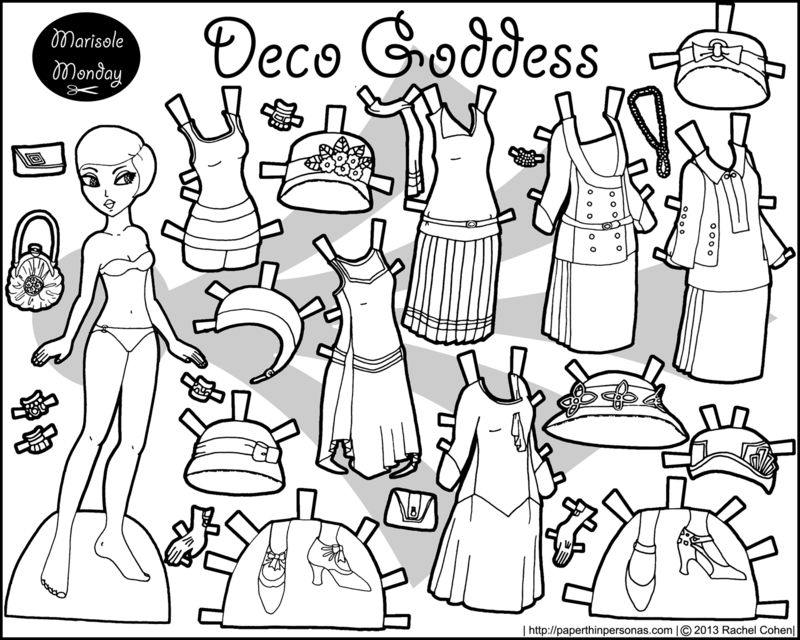 But recently, I stumbled across the folder full of them and I thought… I’ll organize them all together and do a little stand alone paper doll set. And then since I was working with them, I started drawing for them again and suddenly I remembered why I liked them. So…. I have no idea how long this series will last. 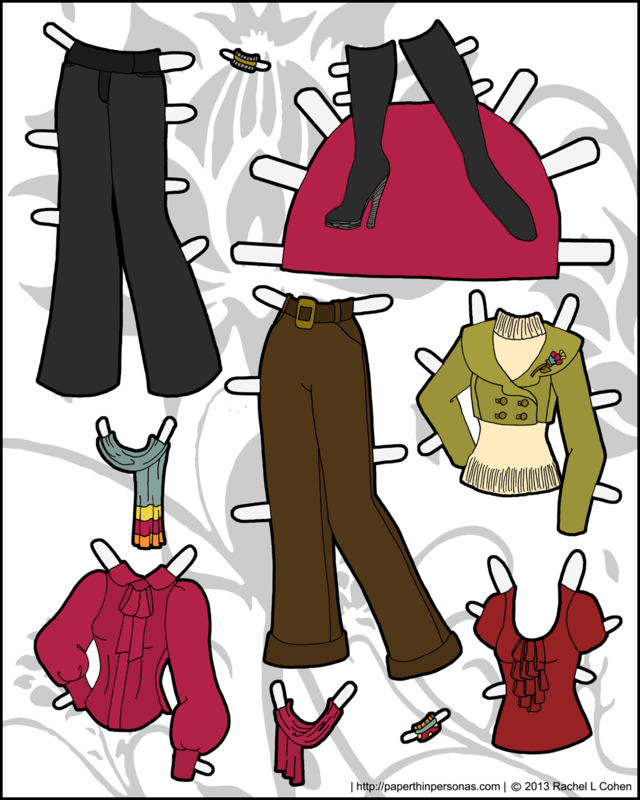 I have no idea how often it will update or what will become of it, but here it is, at least, a start with a paper doll named Tanya. Oh… and I’m calling it Ms. Mannequin, because something about the stiffness of the pose makes me think of mannequins.